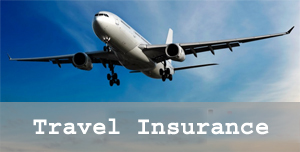 Travel Insurance - Corporate Risks India Insurance Brokers Pvt. Ltd.
Travelling abroad with family or alone is lot of fun. But medical emergencies, cancellations / delays, baggage loss, etc. can ruin the whole fun. Don’t let any of these exigencies put burden on your mind. Let the Travel Insurance policy take care of these losses while you enjoy every moment of these trips. To know more about these most suitable Travel Insurance plan for yourself please contact us now. Customer can opt for SRCC (strike, riot, civil commotion) or WSRCC (war, strike, riot, civil commotion) risks cover also by paying additional premium. Proposer can get the goods covered at CIF (cost, insurance, freight) or CIF + 10% value of their goods. It’s advisable to get it covered at CIF+10%. To know more about the Marine Insurance and its benefits please contact us.